The beauty of Vaping is that you can take your portable Vape Pen almost anywhere. This gives users the availability to enjoy over 30,000 flavor combinations of e-juice flavors. There is something for everyone. Enjoy your favorite e-juice flavors on the go or during a meal. It has become somewhat of a ritual to pull out a portable vaporizer before or after a meal. Some say that Vaping before a meal opens their appetite. Others say that a flavorful Vape after a meal helps with digestion. Choosing the right E-juice to complement your meal is like selecting the right drink. Here are some signature E-juice flavors that are perfect for any meal. Have a long day ahead? Many Americans need to drink their coffee to get them through the day. With the Beast Caffeine E-juice get the boost of energy you need without consuming liters of coffee. This E-juice is perfect after a hearty breakfast. Chewing gum is very common, whether it’s because you are craving something sweet or need to get rid of a bad taste. Chewing gum is not very attractive, and cannot be done everywhere. Vaping the Gum E-juice flavor after a meal is delicious and convenient. Craving something sweet? A lot of us fall into temptation when we want something sugary. Gummy Bears have a lot of calories and can cause tooth decay. With HeadVape’s Gummy Bear E-juice satisfy that craving without the calories. You haven’t partied until someone brings out the absinthe. This flavorful liquor packs a punch. If you have a dinner party, but do not want the nasty effects of alcohol, then this Absinthe E-juice is for you. Why risk your life drinking and driving when you can get the same taste of this traditional drink from your portable Vape Pen. Some have said that it helps calm their stomachs after a big meal. Love dessert? Who doesn’t… sometimes our diets don’t allow us to eat the sweet things we love. 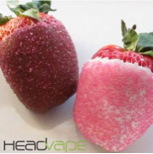 With the Strawberry Yum Yum E-juice flavor you can always have dessert without feeling guilty. Get the entire flavor but none of the calories. This E-liquid is prefect after every meal. HeadVape has the Best E-juice flavors regardless of the occasion! These are the best E-juice flavors after eating a meal and is based on popularity. Looking for something different? Check out our Premium and Organic E-juice Flavors.